This audio book will take you through a comprehensive study of human biology and how reflexology can be used in the treatment of specific conditions such as stress, infertility and pregnancy. 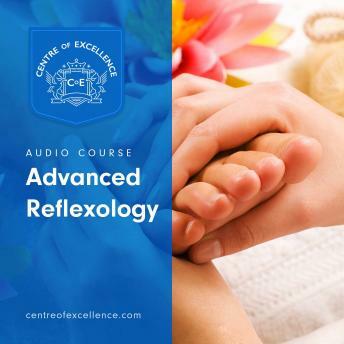 You will also develop a strong understanding of the powerful connection that exists between reflexology and natural healing. From Advanced Reflexology, you will learn how to improve the treatments you provide. You'll gain a deeper understanding of the ethos of reflexology and how you can develop a more intuitive, observational practice, that will reveal contra-indications of specific common health issues while ensuring you can translate the reflex map of the hands, feet and ears.